Nowadays, more and more applications generate huge amounts of data and also the world-wide available information in the Internet is permanently growing. Consequently, the handling of big data and especially the search for the wanted content is a task, which become more and more tedious and time consuming for every user. Since 80 percent of the information is given in natural language, the problems to be solved get more complex once more. Furthermore, an increasing number of users expect to communicate with computers and other devices in their natural language and put in such a manner a big pressure on system developers. 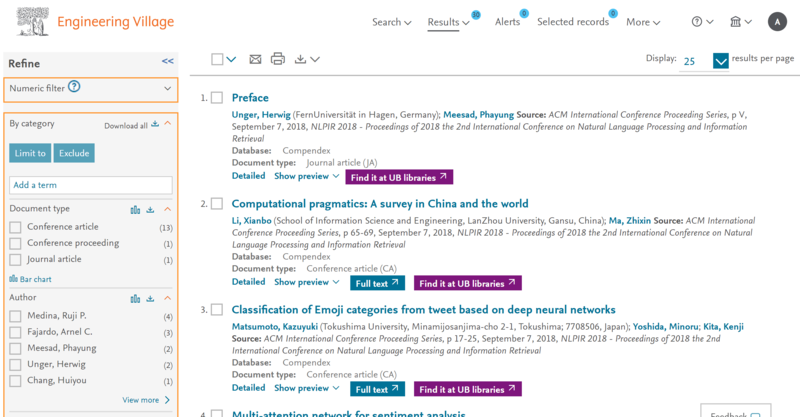 At the situation, 2019 3rd International Conference on Natural Language Processing and Information Retrieval (NLPIR 2019) will brought together researchers, which devoted their work to progress in the above described timely tasks. It will be held in Tokushima University, Japan on June 28-30, 2019. About the access information to go to Tokushima, please click. Submitted papers will be plagiarism, including self-plagiarism firstly by Cross-Check and then submitted to the TPC for further review. 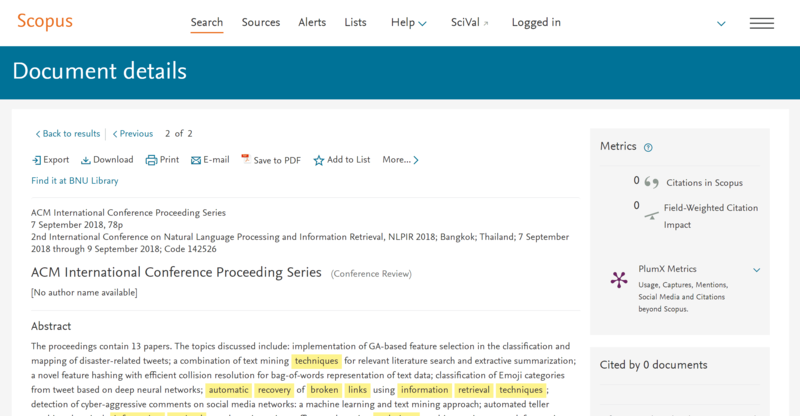 After several rough review processes, accepted papers in NLPIR 2019 will be published in the International Conference Proceedings Series by ACM (ISBN: 978-1-4503-6279-5), which will be archived in the ACM Digital Library, and indexed by Ei Compendex and Scopus. Good News! NLPIR 2018 Conference Proceedings has been online in ACM Digital Library.